Reckless and unconventional Detroit cop Axel Foley (Eddie Murphy) finds himself at odds with two police departments when he launches a personal investigation into the murder of childhood friend Mikey Tandino (James Russo). It doesn't take street smart Axel long to figure out that Mikey's murder was a professional hit. 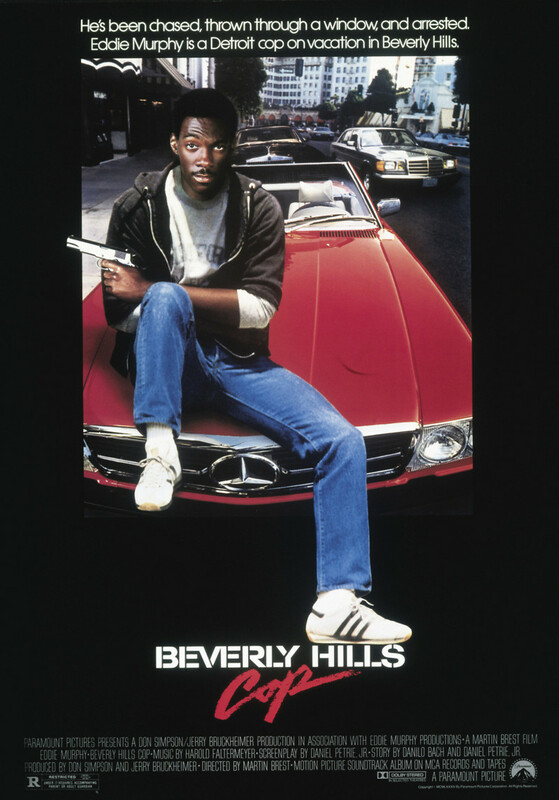 Thwarted by his own police department, Axel travels all the way to Beverly Hills to get answers. In the process, he rustles the feathers of Lt. Bogomil (Ronny Cox) while gaining the trust of Sgt. John Taggart (John Ashton) and Det. Billy Rosewood (Judge Reinhold). Art dealer Victor Maitland (Steven Berkoff) soon becomes the focus of Axel's investigation. Is he a legitimate businessman, or a kingpin responsible for Mikey's death?